Morning Pointe of Frankfort (KY) resident Betty Miller (center) shares a group hug with students Donté, Jace, Easton, and Braydon of Early Learning Village. Morning Pointe of Frankfort (KY) resident Carolyn Bowles and volunteer Lisa Barker celebrate National Garden Month with a garden-themed tea social. Thank you for your continuous support of Morning Pointe of Frankfort! 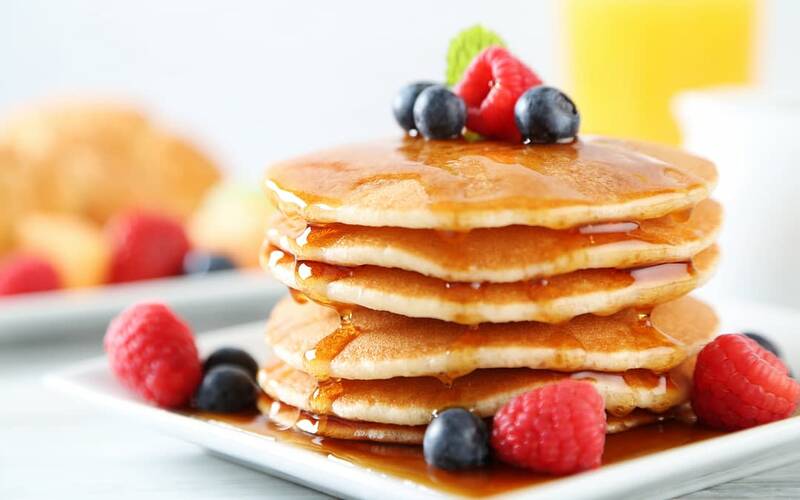 Please join us for a free breakfast on us! 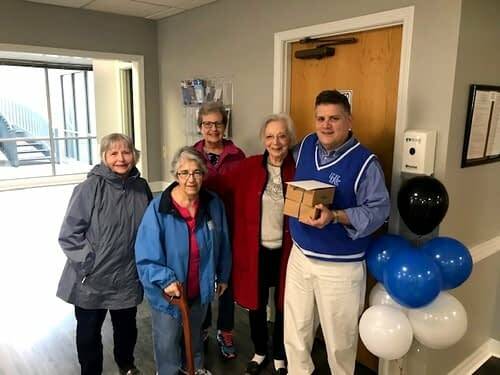 In honor of National Doctors’ Day, Moring Pointe of Frankfort (KY) residents Martha Cox, Ani Gannone, Sharon Aaron, and Emily Shaw give a gift basket to Dr. Gregory L. Fuqua to thank him for his hard work and compassion. In honor of National Social Worker’s Month, the Morning Pointe of Frankfort (KY) campus wanted to highlight the important contributions social workers make to society. 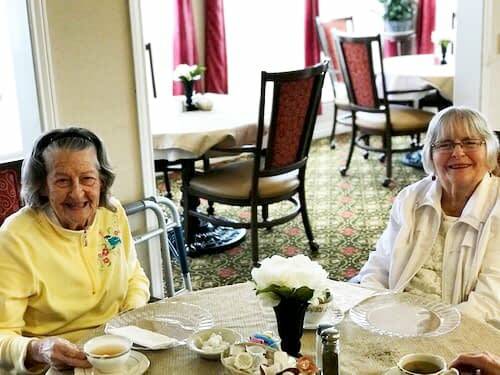 In honor of National Hot Tea Month, Morning Pointe of Frankfort (KY) threw a tea party for residents like Louise Baldwin.